Serving the greater Clearwater, Florida region, including Harbor Oaks, Rainbow Farms, Oak Bluffs, Harbor Bluffs, Harbor Woods Village, Oak Forest, Viewpoint, Prospect Towers, Pierce, Woodgate, Greenbriar Club, Wyatt Street, Wilshire Estates, Montclair Lake Estates, Sand Key, Pride, Clearwater Beach, Sunset Lake Estates, and the entire area in and around Clearwater. Free Consultation & Design Estimates in and around Clearwater, FL call 1-888-744-4954. 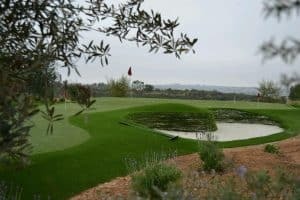 Celebrity Greens Clearwater is the Authorized Dealer, Designer and Installer of Artificial Grass, Artificial Turf and Artificial Putting Greens for the entire Clearwater, Florida community. Celebrity Greens Clearwater offers complete landscaping services, and we are proud to offer products that require very low-maintenance while remaining lush and green through every season and all weather conditions. Contact us today at 1-888-744-4954 for a FREE Artificial Grass consultation!